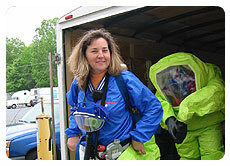 Description: This course is designed to meet the requirements of OSHA for training of ammonia awareness level personnel. These are individuals who are likely to witness or discover a hazardous substance release. A certificate of completion will be awarded to all attendees at the conclusion of the class.